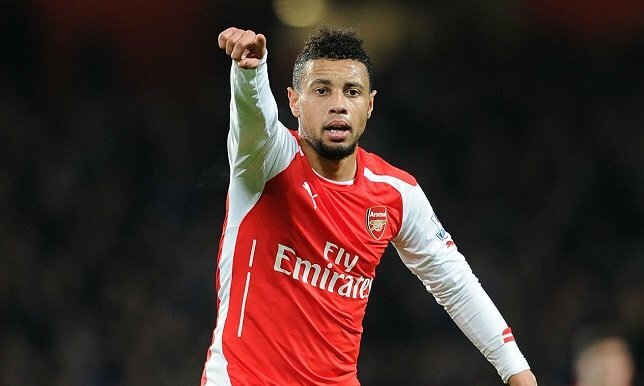 Arsenal midfielder Francis Coquelin will be out for around three months after suffering a knee ligament injury. Coquelin, 24, was injured during his side's 2-1 defeat by West Brom at The Hawthorns on Saturday. Arsenal are also without midfielders Alex Oxlade-Chamberlain, Mikel Arteta and Jack Wilshere, as well as forwards Theo Walcott and Danny Welbeck. The Gunners are fourth in the Premier League table, two points behind surprise leaders Leicester City. "We have players that play in Coquelin's position like Mathieu Flamini and others that can play in his position like Calum Chambers," said Arsenal boss Arsene Wenger. "Sometimes it is an opportunity for others to show they can do the job." Arsenal play Dinamo Zagreb at home in a Champions League tie on Tuesday that they must win to maintain their hopes in the competition, before an away game in the Premier League at Norwich City on Sunday. Coquelin will also miss vital league matches against Manchester City on 21 December and away at Liverpool on 13 January.